Reprehensible Landlords Pt. 3 – Worst Landlords in New York – Oy.. The Top 10! New York (CNN) As one of the holiest Jewish celebrations of the year arrives, families in the Hasidic section of Williamsburg, Brooklyn, face a dilemma. “Say you have six kids that want to come to the Seder, with all the grandchildren,” said Eli Banash, 32, a member of the Orthodox community who works in Williamsburg. 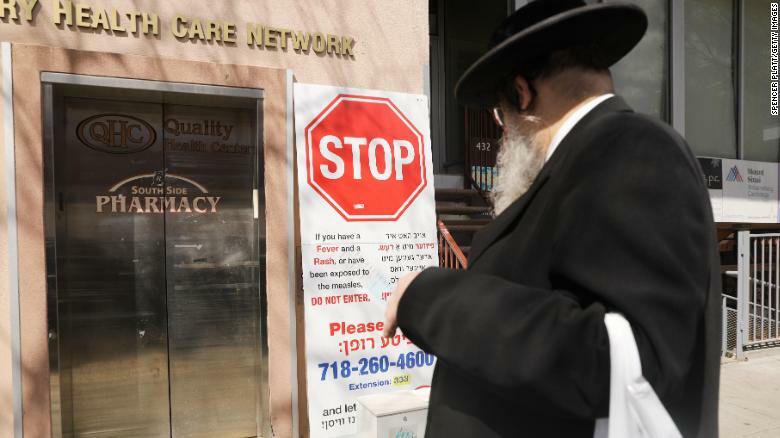 A persistent measles outbreak has hit this ultra-Orthodox enclave and led city officials to declare a public health emergency. Passover, which begins at sundown Friday and ends April 27, marks the Exodus story from the Bible and is celebrated with large gatherings and ceremonial meals. But community leaders and health officials fear the holiday may further fuel the spread of the highly contagious disease. Already, 359 cases of measles have been confirmed in Brooklyn and Queens since October, mostly in Williamsburg. The outbreak began when, according to health officials, an unvaccinated child became infected with the illness while visiting Israel. “The concern is that with Passover and increased travel, we’re going to be putting more people at risk,” said New York City’s health commissioner, Dr. Oxiris Barbot. Across the country, measles cases have jumped to the second-highest level in a quarter century, with 555 cases confirmed in 20 states, according to the US Centers for Disease Control and Prevention. “Because of measles’ long incubation period, we know this outbreak will get worse before it gets better,” Barbot said in a statement this week. In Hasidic Williamsburg, bearded men walk hurriedly in long frock coats crowned by black hats. Women in ankle-length skirts push strollers on crowded sidewalks and Hasidic boys with spiraling side curls dart through the streets in bunches. In an insular community where some don’t take kindly to intrusion, residents blame the outbreak largely on a hardline minority opposed to vaccinations, or anti-vaxers. The close-knit neighborhood — where residents explain the insularity as a way of preserving the community’s identity — has seen heightened tension in some families, especially as Passover preparations got underway. Blima Marcus, a nurse and past president of the Orthodox Jewish Nurses Association, has been holding small workshops with the nurses in Brooklyn and New Jersey to educate members of the ultra-Orthodox community who are fearful of vaccines. The fears were fueled in part by a slick 40-page booklet being distributed in Orthodox enclaves about the dangers of vaccines. The booklet is directly aimed at the Orthodox community, partly written in Hebrew and filled with snippets from the Torah. Yet Marcus and Orthodox Jewish leaders say there is nothing in Jewish law that prohibits vaccinations. To continue reading on CNN click here. A Brooklyn judge on Thursday upheld a mandatory measles vaccinations order. 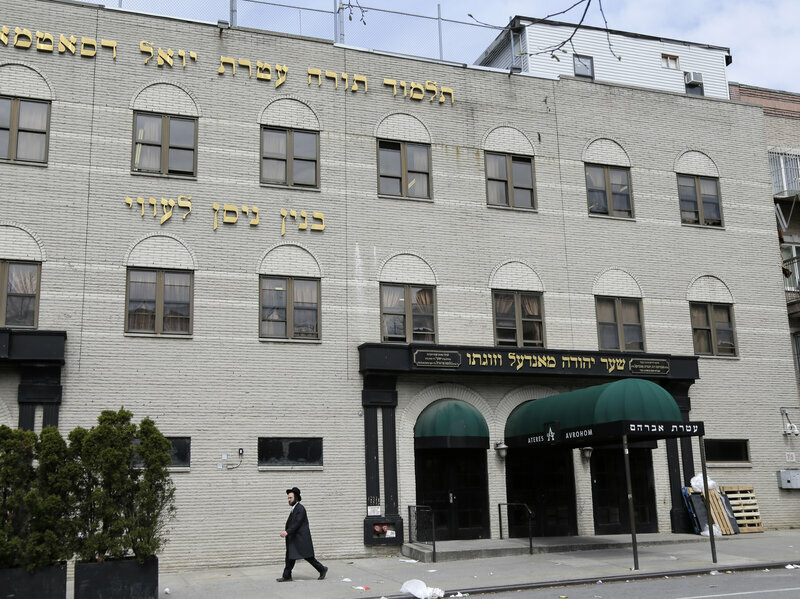 On the same day, the United Talmudical Academy, pictured here, reopened after being closed for failing to comply with a Health Department order that required it to provide medical and attendance records amid a measles outbreak. “The unvarnished truth is that these diagnoses represent the most significant spike in incidence of measles in the United States in many years and the Williamsburg section of Brooklyn is at its epicenter,” he wrote in his opinion, The Wall Street Journal reports. Robert Krakow, the parents’ attorney, said that his clients were disappointed and that they were discussing next steps, according to The Journal. He said he was not surprised by the decision. In Thursday’s release, the city said it had identified three children who were exposed to measles but were still unvaccinated as of last Friday. The cases will go to a hearing, where parents will pay a $1,000 penalty if the violations are upheld, according to the city. Parents who do not appear at the hearing or respond to the summons will be fined $2,000. The city said its health authority is working with community leaders to ensure schools comply with emergency mandates. A preschool program at United Talmudical Academy, which was closed for violating a city order that required it to provide medical and attendance records, reopened on Thursday “under Health Department monitoring,” the city announced. To continue reading NPR click here. Anti-Semitism is on the Rise – The Measles Has a Vaccine, Anti-Semitism Doesn’t? The Measles, Uniquely Jewish, anti-Vaxxers, Anti-Semitism and the Moral of the Story…. There are reasons for not getting vaccinated, legitimate reasons. Children with compromised immune systems often cannot be vaccinated. People with specific allergies sometimes cannot be vaccinated. And there are religions wherein it is forbidden to vaccinate. That last one raises questions, but it might be possible to understand. And we have been told that people who practice those religions limit access to their children and to others, a virtual self-quarantine. Judaism is not one of the religions that forbids vaccinations. In fact, it is arguable that Pikuah Nefesh – the notion that saving human life trumps all else – demands that Jews vaccinate our children. Yet, here we are known world over as a community that has helped spread, if not fostered and advocated for the spread of, an all but extinct virus, the measles. Historically Jews have been blamed for plagues. Never before, however, has the causal correlation between religious insularity and the effect of spreading an all but extinct disease been quite so clear. Organizations like the anti-Defamation League (ADL), the American Israel Political Action Committee (AIPAC), the Simon Wiesenthal Center and others wonder why there is a rise in anti-Semitism. We do not wonder. When ultra-Orthodox rabbis are out advocating for the right to spread disease, there is little question. It is reprehensible that the revered leaders of the ultra-Orthodox community could be telling parents that vaccinations are dangerous (barring unique circumstances) and moreover that it is okay to spread disease. Yet many outspoken ultra-Orthodox Rabbis are advocating anti-vaxxing. And, as such Jews are the public face of a renewal of an all-but-extinct virus’s spread. Even as Jews it is difficult not to feel resentment for a community that is now defining by implication, even the principles of moderate Judaism, through the very public spread of a virus. Is it not the season of the Ten Plagues? Is that the association we want? To be the cause? With a full generation of people who have been vaccinated, there is little known about what is in store for the children (and adults) who are currently getting sick. Survivors of the German measles (Rubella), who got sick before the vaccine was mainstream, many of whom are now in their late fifties to early seventies, are finding significantly earlier onset age-associated vision loss. There appears to be a causal effect between the two. Many survivors of the second wave of polio, again before the vaccine was used worldwide, suffered second polio syndrome. Because the measles was all but wiped out of existence in the United States in 2000, we do not know for certain what follow-up syndromes will befall the children who are now getting sick. We do not know what is the chance for the virus to mutate. 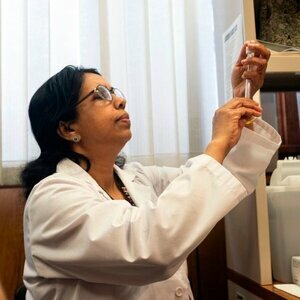 We do not know if the strains of the disease that are spreading are the same as those for which there is a vaccine or if there are groups of vaccinated individuals whose vaccines are not effective, either because they had only one dose or because the vaccine in circulation at the time is not working against this virus. We are in a world of unknowns, one associated with being an observant Jew, with being Jewish, one that has mutated. And if perspective is everything, it’s hard to wonder why now is not a great time to be Jewish. And, with a far more crowded world, a far more transportable world, a far more visible world than the one in 2000, the risks are so much higher for the measles to become something it isn’t. That is from both a scientific and philosophical perspective. An observant Jew who steps foot in a restaurant that is not kosher is supposed to take off his Kippa lest he be seen in an unkosher establishment. Yet he proudly wears his kippa when he tells his followers to avoid vaccinating their children? Clearly perspective was understood by the sages. Do those with a true and deeply held sense of love for Judaism really want to be the public face of the spread of the measles? And what of the financial costs? So much of the ultra-Orthodox pro-measles advocating community is on Medicare, Medicaid and other forms of public assistance. The costs associated with vaccinating are small. Those associated with treating disease are much higher? Who is to be held accountable? And is that not yet another reason for an increase in hatred against Jews? It might be time for the wisest sages within the ultra-Orthodox community to start looking “Two Tzaddim Kadima” (two steps ahead) and consider where this is going to lead. Getting vaccinated is no longer just about the measles. It is about whether or not the greater Jewish community is going to be viewed as a plague upon the world. The measles as an illness is sadly an allegory. Let the Tzadikim among you direct your children to vaccinate, to think about your individual community and the greater good for all Jews, lest we all Jews as a collective, be viewed as a plague. Let those with true chesed understand, that the religious garb as a symbol of the spread of the Measles will become the moral of the story for why the world cannot rid itself of anti-Semitism. The measles has a vaccine. Anti-Semitism does not. The surge has been fueled in part by the anti-vaccination movement – most people who contract measles have not been vaccinated, the CDC said. If one person has the disease, up to 90% of the people close to that person can become infected, the CDC warned. We are posting the following letter and the Professor Adina Schick affidavit. Professor Shick is worthy or praise in her own right for the work she has done and all that she has accomplished. This is not intended to be a personal attack and should not be viewed as such. We have not researched Professor Schick’s upbringing, her background or anything else about her to see if she was a Yeshiva student, or if she is affiliated with an ultra-Orthodox community. As a general matter, her affidavit raises Common Core standards which in our view is problematic to begin with because there are few public schools in the State of New York that are keen on continuing the Common Core standards. Common Core was a faulty premise to begin with and a number of states have already done away with them. Her affidavit appears to disregard the fact that if students are given public funding for education they should be required to meet public requirements. It was clearly not an affidavit intended for that purpose. It was intended to ask a limited question: “Can children taught in Yeshiva be meeting the same standards as public school children?” Her response, in our view, is wholly misleading. Professor Schick fails to mention that the Talmud is written in Aramaic. Much of the studying in Yiddish (not English) may be a linguistic accomplishment for the children learning to understand these two languages but does nothing for children who need to function in country where English is the language of daily living. The children are not taught to understand science, mathematics, physics or anything about their physical realm except through the Aramaic words in the Talmud and while one might be able to extend some sort of imaginary parallel between the two, the focus within the Yeshiva context does not draw that parallel. 14. In the middle school years, for example, Next Generation English Language Standards such as Literacy and Informational Text Reading Standards (e.g., Key Ideas and Details; Craft and Structure; Integration of Knowledge and Ideas); Speaking and Listening Standards (e.g., Comprehension and Collaboration; Presentation of Knowledge and Ideas); Language Standards (e.g., Vocabulary Acquisition and Use), as well as Reading Standards for Literacy in History/Social Studies and Reading Standards for Literacy in Science and Technical Subjects can be met.